Adoption is a way of providing a child or infant with new legal parents. It ends the legal relationship between the child and the birthparents and establishes a new one with the adoptive parent/s. When adoptive parents adopt a child through the Children’s Court, they are granted full parental rights and guardianship as if the child was born to them during the existence of a lawful marriage/union. Thus adoption can be seen as permanency planning which fulfils the child’s needs for stability and ‘belonging’. This sense of belonging and stability creates the necessary foundation to enable a child to establish meaningful relationships throughout their life. When the primary relationship between the biological parents and their own child has broken down, there will be a need for alternative placement. Perhaps the most successful alternative placement is adoption. Which babies and toddlers are available for adoption? Newborn babies are available for adoption where the birth mother has signed her consent for adoption before the Presiding Officer of the Court. Abandoned babies and toddlers are also available for adoption – where there is no trace of the natural parent/s at all. Our primary need now at CHILD WELFARE Durban and District is to find permanent placement for our black abandoned babies. What kind of people become adoptive parents? Applicants must be of the minimum age of 25 years-old to adopt a newborn baby. Applicants may be married, unmarried, single parents or involved in a stable relationship. • a strong, supportive network. People cannot adopt children of the same age unless they are twins. Applicants with their own children should apply for a child preferably younger than their own. Screening is a preparation, selection and matching process. It hopefully ensures that the infant and the adoptive parent/s can cope with each other – and that the expectations of the adoptive parent/s with regard to the adopted infant or child are realistic. The proposed adoption must serve the best interests of the child concerned. a) That the foster care order is at least valid for one (1) year as there has to be a valid order for an adoption to be granted. b) If the whereabouts of the birth parents are unknown then there are publications done. c) Consent from birthparents and from the foster child if he is over 10 years of age but is of an age, maturity and stage of development to understand the implication of such consent. d) Should the whereabouts of the birthparents be unknown or if the birth parents are deceased to obtain affidavits from the relatives stating that they have no objection to the adoption. Children need a family in order for them to develop physically and psychologically into healthy adults. Institutions such as hospitals and children’s homes provide shelter, food and clothing, but not a parent’s personal interest and enduring love. In fact, personnel in institutions often change. Institutionalised children, therefore, lack a stable caregiver and the necessary security, mental and emotional stimulation. They tend to become apathetic or rebellious and bond superficially. Obviously, it is better for a child to grow up in a family than in an institution. In the past, legal provisions in South Africa ensured that a child would only be placed in a family of its own ethnic group. In 2010, the Children’s Care Act 38 of 2005 came into operation. It is now legally possible to place a child in foster care or adoption with any family if it can be shown that this will be in the child’s best interest. A child’s placement in a family of a different ethnic group is known as a trans-racial or cross-cultural placement. 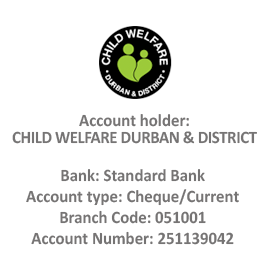 CHILD WELFARE Durban and District seeks to find families for approximately 60 abandoned children every year. Less than a quarter of them are ever fortunate enough to be placed back with their biological families. The other vast majority have to be placed in institutions or other places of care. Abandonment is traumatic and is considered the ultimate experience of rejection, although in some cases it is the biological parent’s desperate attempt to secure proper care for their child. These children yearn for a family of their own. Some infants and toddlers are abandoned after having failed to thrive with a biological parent for some time. Many are severely neglected, whilst others are abandoned soon after birth. All these desperately vulnerable children are in need of individual attention and love. Trans-racial or cross-cultural placements provide both enrichment and challenges for the foster or adoptive family. Such families have many new experiences and report on the overwhelmingly positive experiences. Many of these children have failed to thrive prior to their placement in a family. Social workers and the families have observed the remarkable recovery of these children once they have their own family. It would appear that the presence of other children in the family are an asset and contribute to the child’s sense of well-being. Parents often report that the cross-culturally placed child is so much easier than their own. The joy and the love they receive by far outweighs the effort they put in. Single adults above the age of 25 years, married couples, single parents and common law couples may apply for fostering or adopting a child. Parents in their early forties whose biological children are adolescents or already out of the house, have proven themselves to be excellent cross-cultural parents. Special issues relating to cross- cultural parenting will be discussed with the applicants of the children. A love of children, a stable nuclear unit, and a family’s joint decision-making are of prime importance. Applicants are also introduced to parents with experience in this respect and to the cross-cultural support group. 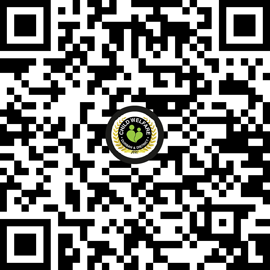 If you are interested, contact the Home Finding Department of CHILD WELFARE Durban and District either personally or by telephone and make an appointment. never forget this for a single minute.